We like Pivot Cycles. We also like rare bikes; so the chance to acquire a Pivot M4X for a customer was an opportunity for us to combine these two pleasures. 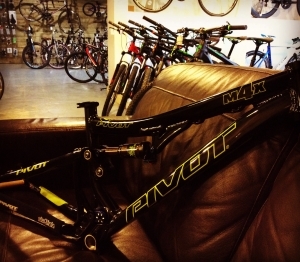 A bit of background on the M4X, the frame was developed for dual slalom/four cross and slope style around 2011. The bike was originally designed with a lot of input from Kyle Strait and the first major appearance was the Sea Otter Classic 2011. The bike showed its versatility by Strait taking it to 12th place in the DH event as well as appearances in the slopestyle and four cross. The bike became a bit of a hit and went into full production soon after. 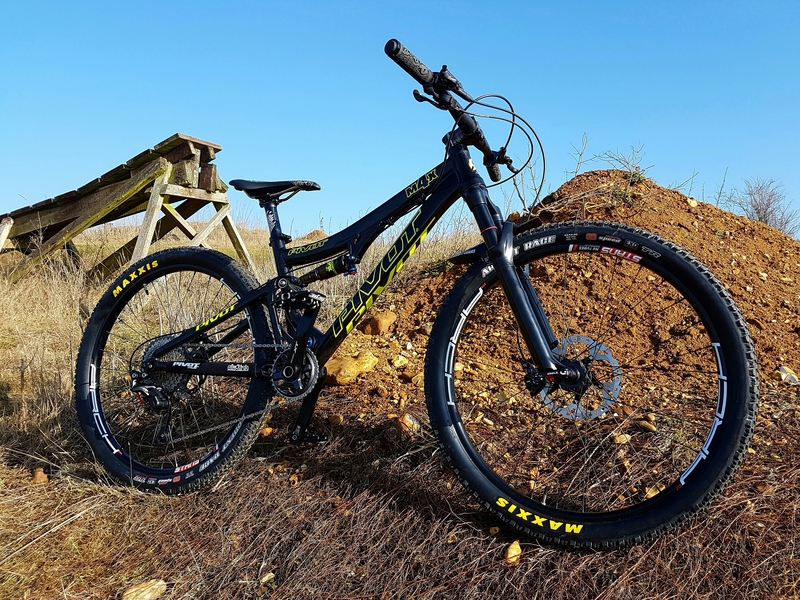 The run was limited to 200 models, each with a custom valved fox shock and carbon DW link. There were two sizes, a long and a short. four cross racing the M4X is unlikely to be made again. For us this feels like a pity because for us a 26″ wheeled trail bike makes a lot of sense and with a 170mm drop Reverb in there and a 140mm fork this could be a perfect bike for those of us who want a single bike to do everything; burly enough for trips away yet great for local single track. The fact you could take it to a bike park as well is an added bonus.